Massachusetts Pest Control - Providing Pest Control services throughout the Eastern Mass and the Greater Boston Area - Your Massachusetts Exterminator! Ready to give uninvited pests the boot? Call the finest pest control experts in Massachusetts. You didn't invite them, but they're here. Squirrels chewing your wiring, termites and carpenter ants devouring your home. Defecating in your walls and insulation. Destroying, little by little, the home you work so hard to keep up. Maybe it's a termite colony. Perhaps it's ants. Or, it could be an entire family of squirrels that should be paying you rent, but instead, are paying you in droppings and property damage. Just disgusting! But the problem will only become worse for your Greater Boston home if you ignore it. Make the smart decision-don't. And don't try to take on the pests and animals yourself. That's a job for MassPest, the finest, most experienced Massachusetts exterminators and pest removal company this side of Massachusetts. We never miss a pest, and we prevent them from coming back, too. Pests in Massachusetts and Boston Beware: You won't escape MassPest! They can run. They can hide. They can scurry from hiding place to hiding place. But rest assured, MassPest knows where pests of all shapes and sizes love to call home-anywhere there's warmth, food, water and shelter. MassPest exterminators specialize in seeking out those places in your home or business, destroying the infestation and working with you on preventative pest control strategies to ensure they don't return. In Massachusetts, exterminators don't come any deadlier or more precise than MassPest. For more information, visit our Pest Control page. Bats hanging around your attic or crawl space? Call Greater Boston's best bat removal experts. As bat removal professionals, you can be confident in MassPest to come into your home and conduct a bat removal that is both humane and thorough. Believe it or not, most bats in Greater Boston and Massachusetts live in man-made habitats because as we've developed over their natural environments over the years. Bats are resilient creatures, so they adapted by nesting where they could find safe harbor in our structures. At Massachusetts Pest Control, we know where to look for them and specialize in removing these helpful creatures (they love munching on mosquitoes) to less obtrusive homes away from people. To find out more about our humane bat removal and bat exclusion techniques, visit our Bat Removal page. Call Massachusetts' squirrel removal specialists to get rid of that pitter-patter in the ceiling. Squirrels are crafty critters. They'll gnaw and chew anything and squeeze and shimmy anywhere to find food, warmth and shelter. They might be cute, but the problems they can cause for your home or business are anything but. Issues like damaged and shredded insulation, feces and urine accumulation, strong odors and stains in the ceiling are serious. Worse than that, however, is the fire hazard they create by chewing through electrical wire insulation to expose bare copper wire. Massachusetts Pest Control knows how to get rid of the squirrels, but more importantly we know how to stop them from coming back. To learn more about our squirrel removal and proofing services, see our Squirrel Removal page. 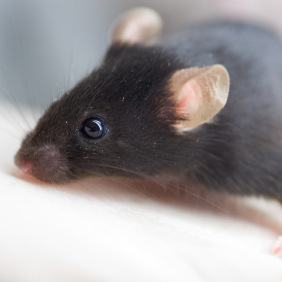 MassPest is Greater Boston's leading mice and rat removal company. When MassPest comes into your home to deal with a mouse or rat infestation, we'll use humane yet extremely effective mouse control and rat removal methods to eradicate the existing mouse or rat population. After that, it's a matter of sealing off the ways in which the mouse or rat population came in-usually holes around the foundation. To learn more about MassPest's mouse removal and rat removal services, see our Mouse Removal and Rat Removal page. Call MassPest for animal removal services, including skunk removal and raccoon removal. Animals like raccoons and skunks are destructive, smelly and don't belong in your home or business. During the early weeks of March, MassPest does a brisk business in raccoon removal as female raccoons looking to give birth often crawl into chimneys and attics looking for a safe place. It's hard to stop a motivated raccoon. They're very strong animals and will bust through loose boards or rip off shingles to get into your attic. If they want down your chimney, they'll make quick work of an unsecured chimney and easily tear off a screen. And while the biggest problem about a skunk is obvious, beyond the odor, a skunk is relatively harmless if left alone. But in the urban and suburban environments they've been forced to adapt in, that isn't always possible. When you call MassPest about a skunk, we will humanely relocate the skunk from your property and work with you to remove the habitat or access to the habitat in order to prevent any further encounters. To find out more about Massachusetts Pest Control animal removal, including raccoon removal and skunk removal, visit our Animal Removal page. Servicing the following towns in the Greater Boston Area - Somerville, Watertown, Arlington, Boston, Jamaica Plain, Wellesley, Waltham, Belmont, Roslindale, Lexington, Weston, Maynard, Sudbury, Wayland, Natick, North Reading, Needham, Dover, Westwood, Dedham, Medford, Milton, Braintree, Randolph, Quincy, Weymouth, Brookline, Cambridge, Chestnut Hill, Winchester, Melrose, Malden, Stoneham, Wakefield, Reading, Woburn, Newton, Concord, Bedford, Lincoln, Canton. MassPest.com Copyright 2007 All Rights Reserved.